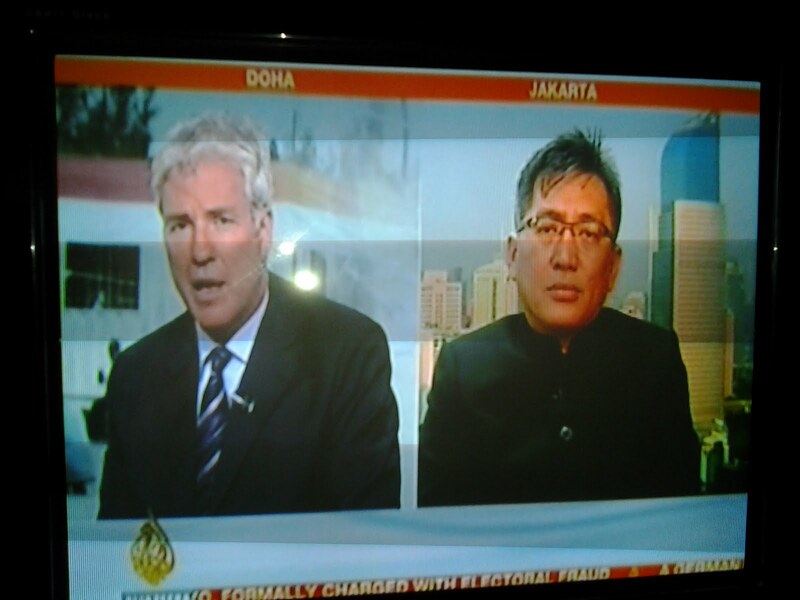 AL JAZEERA did ask me to appear on its Jakarta studio for a live interview on Saturday, November 19. 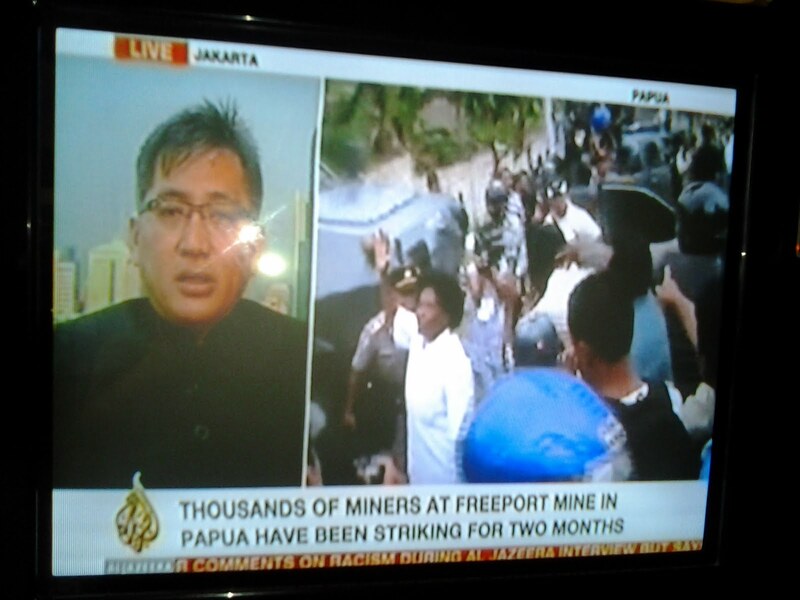 Al Jazeera only gave me around three minutes to comment on its coverage on the labor strike at PT Freeport Indonesia. The report was entitled, "Unrest in Indonesia's Papua under scrutiny." Step Vassen, Al Jazeera's Indonesia correspondent, reported that the workers at the gold and copper mine, who earn an average of $1.50 per hour, are demanding a pay rise of 300 per cent. Freeport Indonesia has offered them an increase of only 35 per cent. The controversial Grasberg mine is reportedly the most profitable in the world, yet the miners say their salaries are far lower than international norms. Al Jazeera thought that I have written some quality reports about Freeport and Papua. Their Kuala Lumpur office asked me to comment. I told Al Jazeera audience that Papuans have endured at least five waves of violence since it was taken over by the Indonesian government in 1963. "They feel they are being treated as a colony of Indonesia. The Indonesian government had promised to give special autonomy to Papua ... but Papuans do not feel this has happened." "Indonesia officially took over Papua in 1969, but gave Freeport the contract for Papua beforehand.